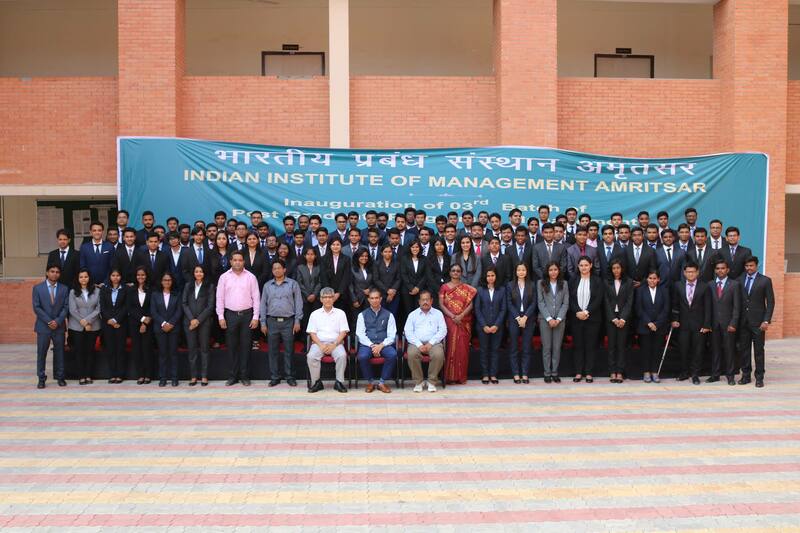 On 24th of October 2016, the students of IIM Amritsar had one more enlightening industrial interaction session from MR. GOPALJI MEHROTRA, HR Advisor to MD of Ashok Leyland Group, Senior Vice President and Global Head HR for Ashok Leyland. It was more of a self realization and was a highly interactive session. Mr.Mehrotra focused on the topic “Real world and how a person can be a better fit in that world” and along with that he touched crucial topics such as career, skills and potentials. In the beginning of the session, Mr.Mehrotra asked the students what they thought about the real world and then explained how the perception of real world changes from person to person. Mr.Mehrotra gave numerous examples from his experience and stated that real world is dynamic so things are not to be presumed before facing it. He also said that humans have limitless potential and the limit can only be set by the individual. As the session progressed, Mr.Mehrotra demystified that there is no empirical definition for a right fit. One should be like water which takes different shapes based on the container it is in. He said that great men didn’t progress overnight as they take one step at a time. They choose what they want to be and not what the forces push them to be. The students were deeply motivated by the session and it helped them to reflect the broader prospective of life.